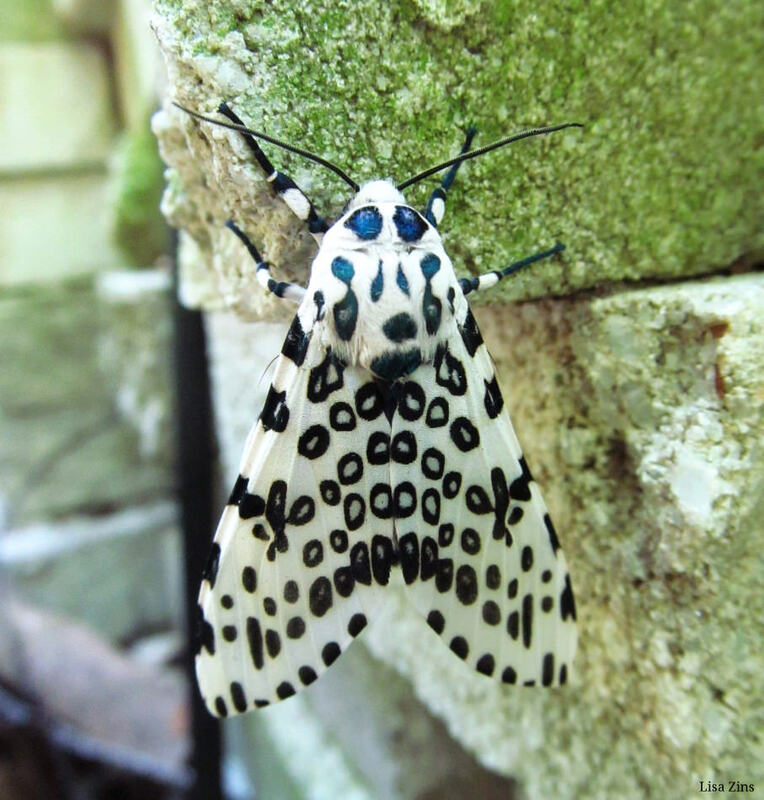 Giant Leopard is also known as the Eyed tiger moth it is distributed throughout the Americas . The caterpillar is of the woolly kind , with a thick coat of black bristles and red or orange bands between its segments which becomes conspicuous when the caterpillar rolls into a ball for defense. Although it may look like it but the hairs are not urticant and do not typically cause irritation when touched.